The high Arctic is a place to inspire the imagination. Explorers, adventurers and more recently wildlife enthusiasts, have found it to be a place that delivers extra ordinary scenes in a pure wilderness. 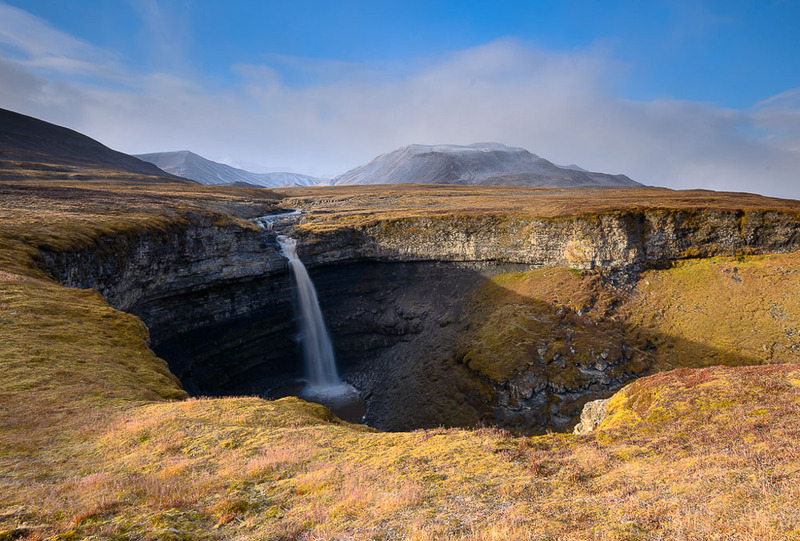 The Svalbard Islands are located in the Arctic Ocean, halfway between Norway and the North Pole and here you will find pure untouched Arctic wilderness. It is a place of extraordinary beauty, dramatic scenery and rich wildlife. 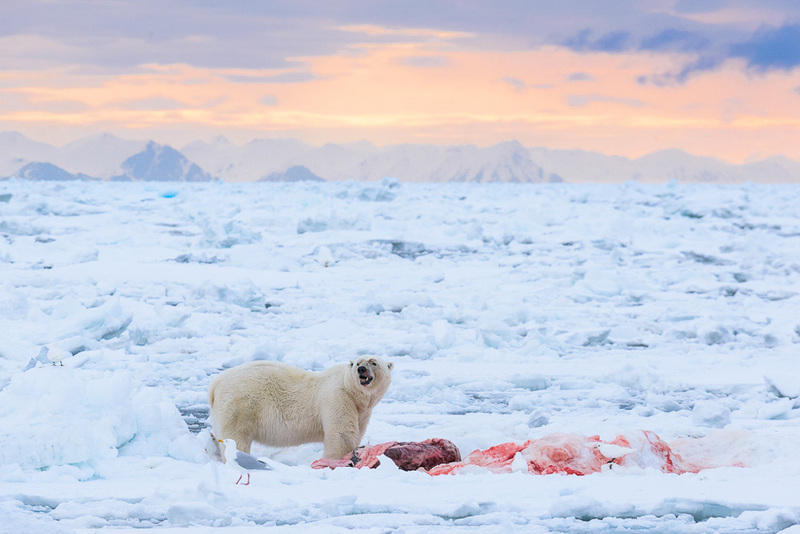 It is a land where glaciers are mirrored in pristine waters with snow-capped mountain peaks standing tall, the playground of the largest predator of the Arctic - the polar bear - roaming the vast expanse of pack ice. Over the years most people travel here in September, when the waters are free of ice making it easier to navigate around the islands. Over the last few years the pack ice surrounding Svalbard has been opening up earlier and earlier each year. This means that it is now possible to navigate Svalbard as early as April, yet also have lots of pack ice available to visit. 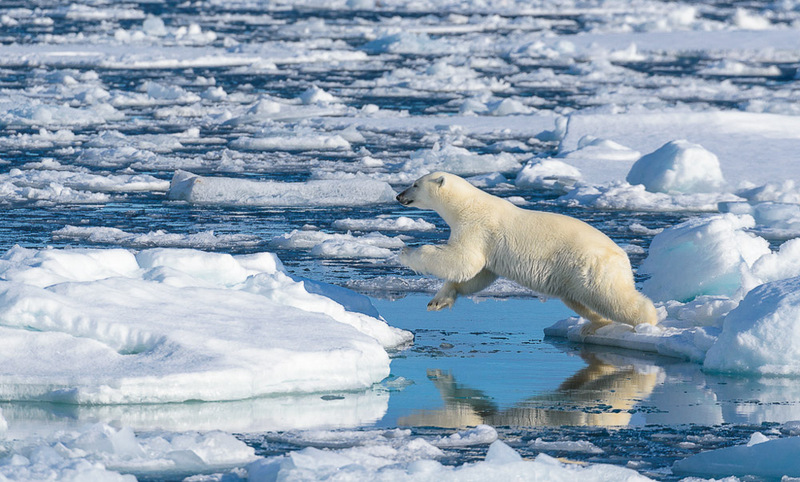 The reason for requiring pack ice is that it is the home of the polar bear and there is nothing more beautiful than seeing a polar bear walking and jumping on floating ice in the Arctic ocean. 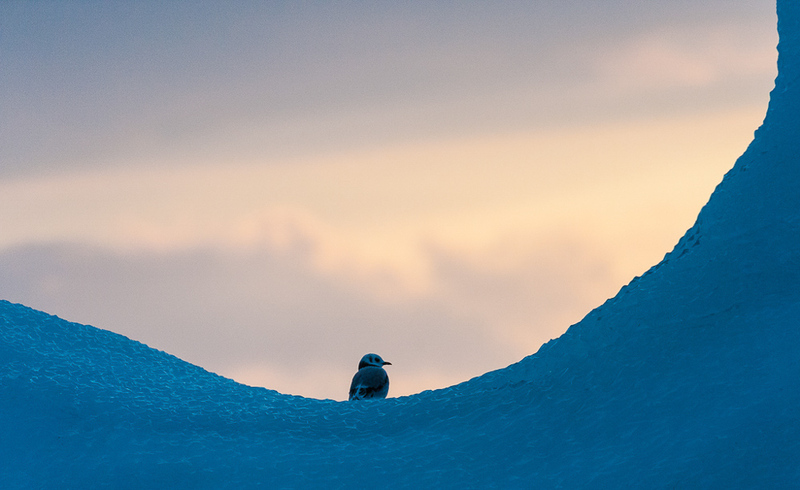 April is the start of spring in the Arctic, with all the migrant birds returning to the shores to start courtship. 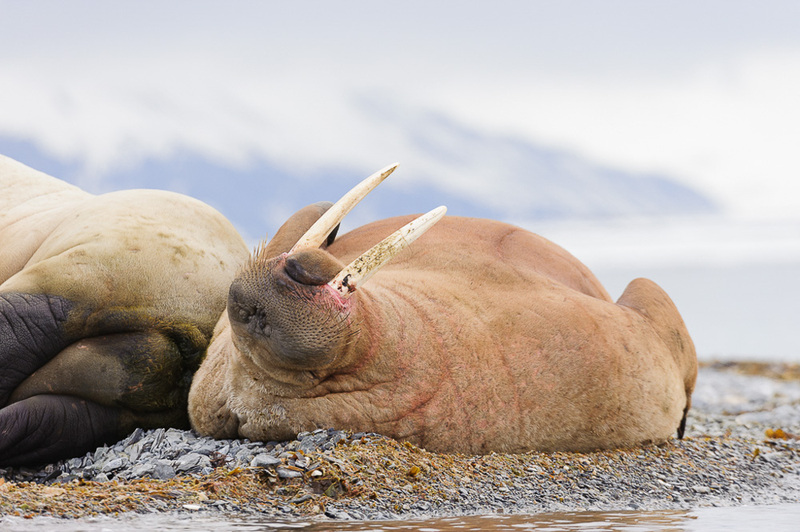 The Polar Regions have a very productive and short breeding season and our expedition is planned to coincide with the start of this breeding season. 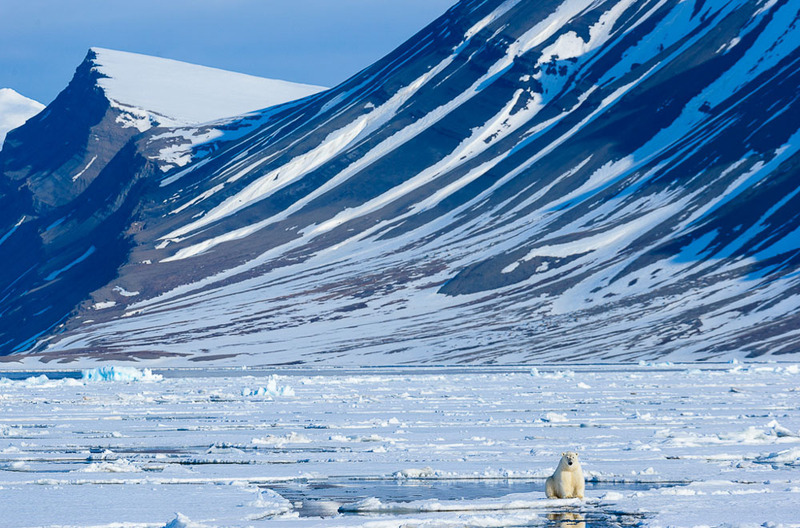 Coupled with the large ice packs that surround Svalbard this cruise will offer you the best of both worlds in terms of finding polar bears on pack ice and also experiencing one of the wonders of nature, Spring in the high Arctic. 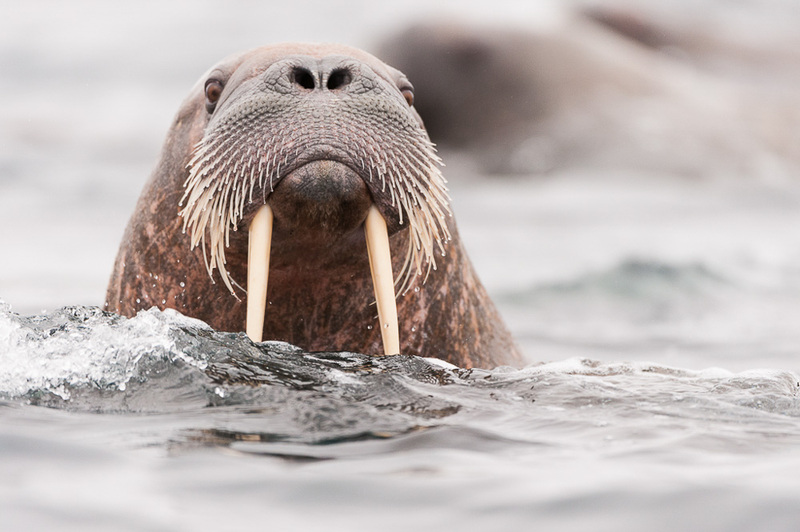 In addition to the bird life, we will explore and expect to spend time with walrus, artic fox, reindeer and bearded seals. But the king of the landscape is the polar bear and nowhere else can polar bears, be found more reliably in their natural habitat- the sea ice. Photographing these magnificent animals in this austere environment is for most photographers, a “once in-a-lifetime” experience. Going by boat allows you to move around freely and it allows you to spend as much time at any specific location as needed… in essence it allows for great photographic opportunities. Voyages in spring are best as this ensures that the sun is lower in the sky this time of year and for photographers this means the quality of the light is softer and gentler. The quality of the light is simply quite amazing at this time of year. 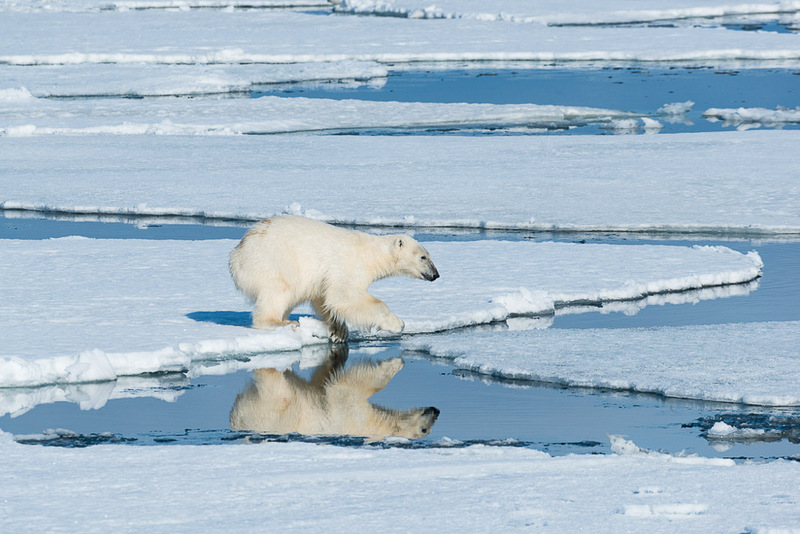 In 2012 C4 Photo Safaris chartered their first voyage to Svalbard and it was a grand success, with countless sightings of polar bears. 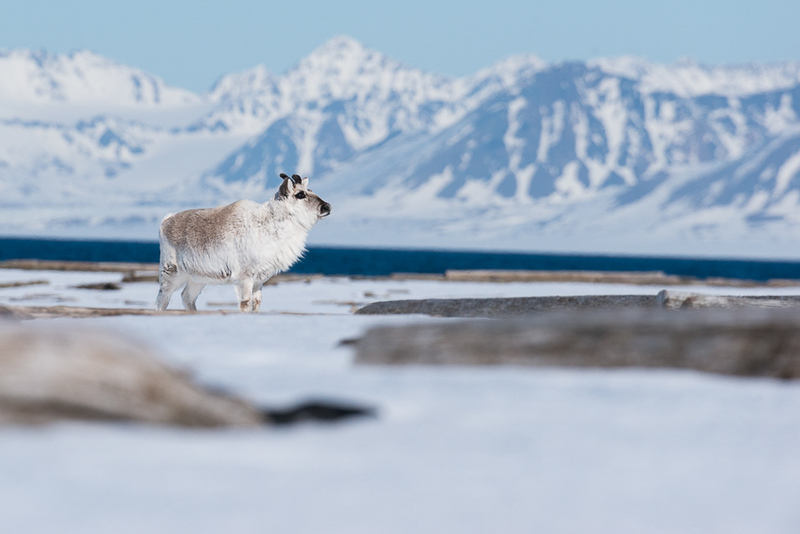 This will be C4 Photo Safaris eight expedition to Svalbard. We have used our experience of past sightings, season and vessel to ensure that this trip is the best one yet. 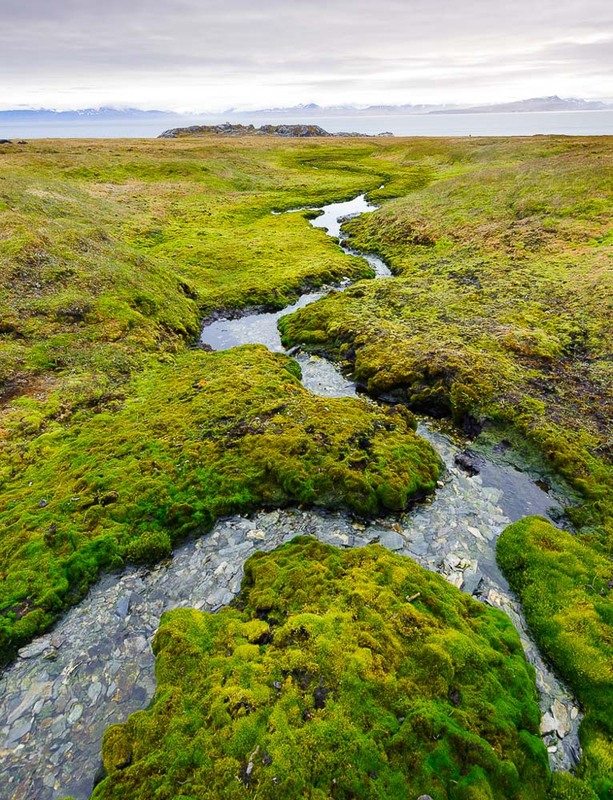 It is a photography-focused expedition with no fixed itinerary. If we encounter a good sighting, we will stay there as long as we like. 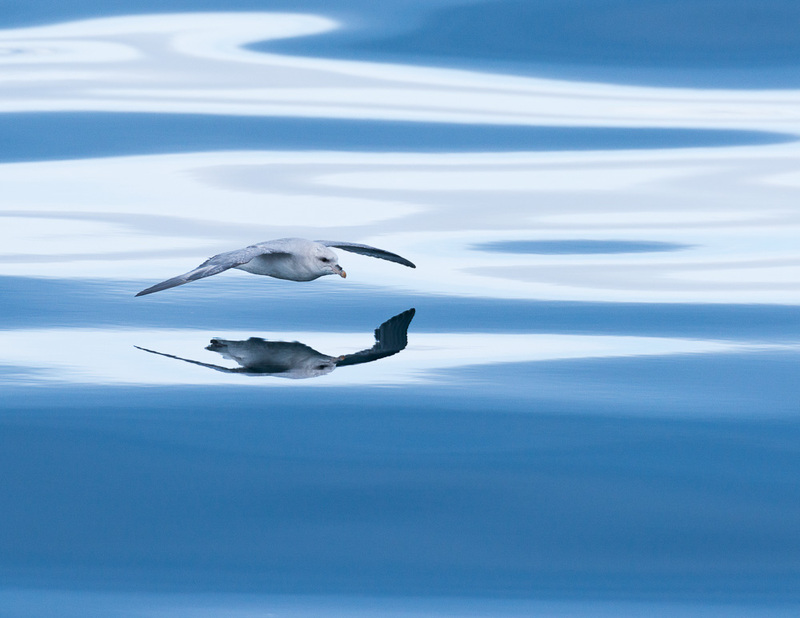 Our “itinerary” is to find excellent wildlife sightings during your time on board and make sure you come home with amazing images. 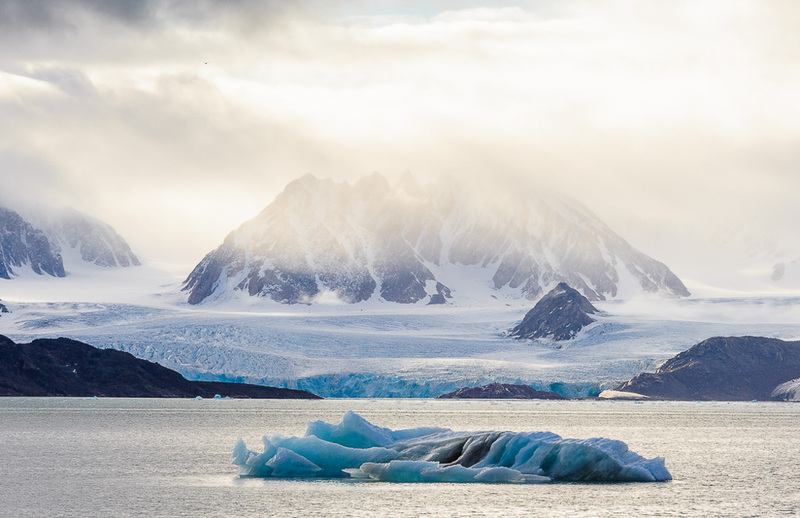 You will enjoy an almost private charter of the best vessel, MS Stockholm, to work the waters of the Arctic seas in search of polar bears and other wildlife. 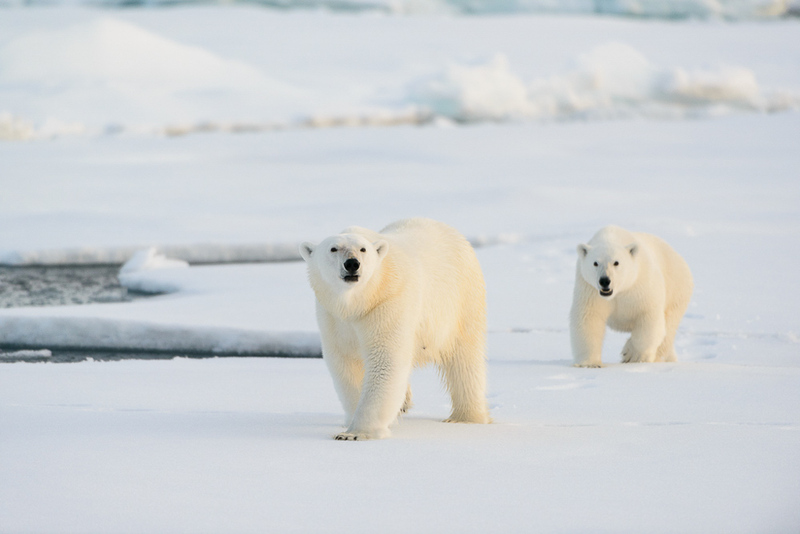 You will be part of a small group who has chartered the vessel for its exclusive use, offering a completely flexible itinerary dedicated to photography and the best possible chance of maximising polar bear encounters on the pack ice. Your group can decide what it wants to do and how long it would like to spend in any given location. There is no pressure to ‘tick off” species or locations on this photo expedition. If a sighting is unique or it is considered desirable to stay overnight, the group has the freedom to choose to do exactly that. This personalised flexibility is not possible on other, larger vessels in Arctic waters. Due to the knowledge of the captain and the capabilities of the vessel, you will be able to: (i) enter into and stay in thick pack ice for prolonged periods of time as pack ice is the polar bears’ favourite habitat and thus their inclination to spend time in this habitat and (ii) enter shallower waters than most other vessels. This means you will steam into fjords that other vessels cannot get to, giving a true expedition and unrivalled sense of Arctic exploration. Having sailed these waters for 25+ years, the Captain has extensive experience and knowledge of the entire archipelago. Drawing on this experience he will continually give you the best advice and skipper you to unrivalled locations every day. 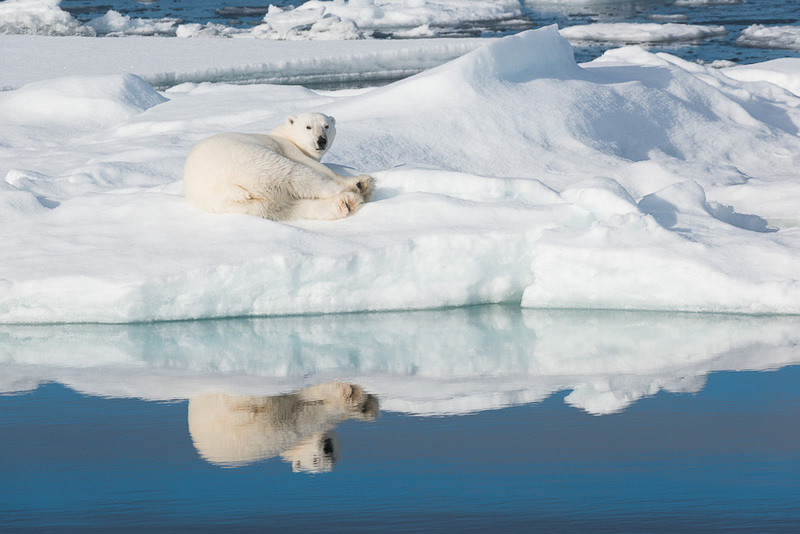 Most polar bear photography may be done from the deck of the ship. 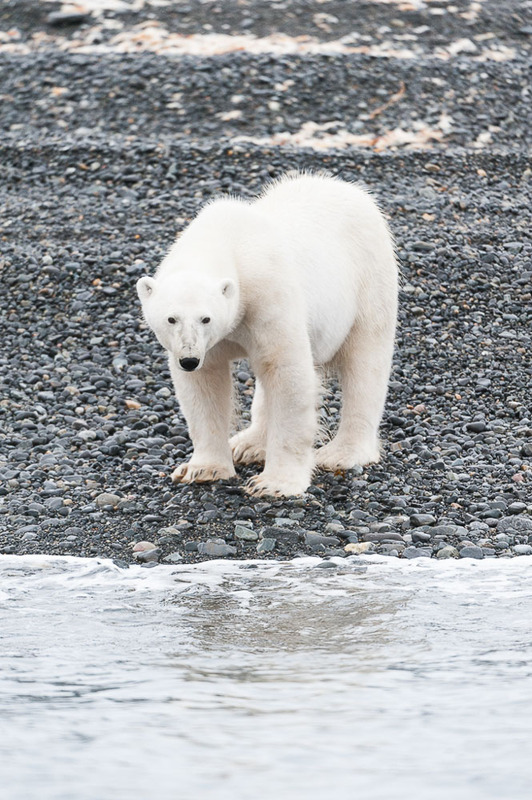 If a polar bear is spotted ashore then people are not permitted to land. Two zodiacs and two guides are available for your group. This means there will be a maximum of 7 clients per zodiac which are usually are filled with 10-12 people. You will have more space and freedom to use your longer lenses. 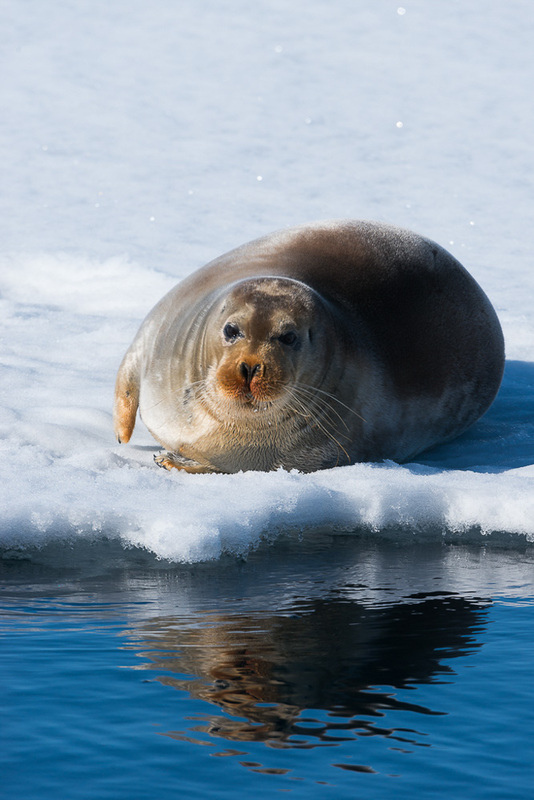 Photographing from zodiacs allow you to experience the Arctic waters at a more intimate level. 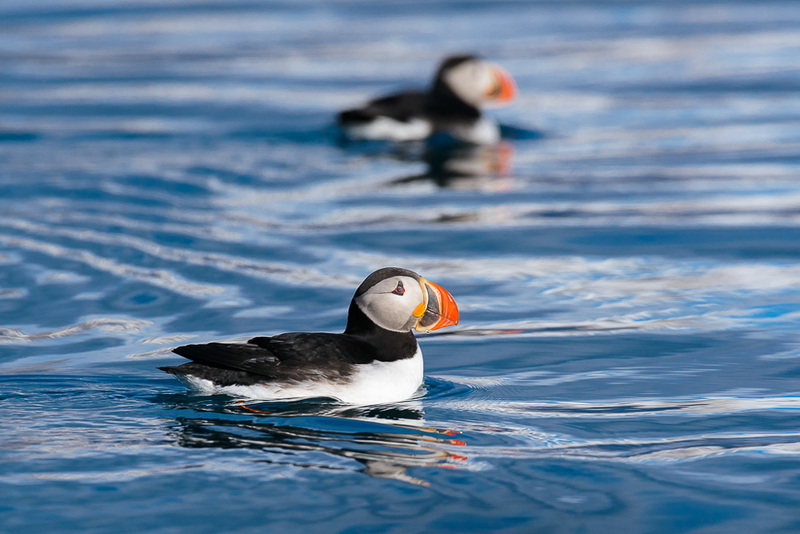 As there is likely to be great light, sufficient time will be dedicated to landings to capture stunning landscapes, as well as wildlife including walrus, seals and a number of seabirds. The expedition takes place in Spring. For photographers this means the sun is higher in the sky and the quality of the light is excellent. 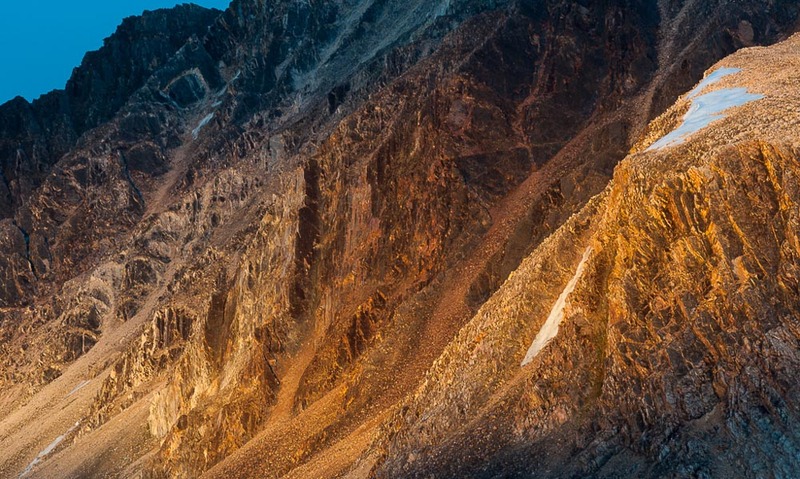 Contours in the landscape are revealed and dramatic portraits of the animals are possible. The sea ice will not have retreated and in these conditions the expedition will be totally dedicated to the interests of nature photographers. 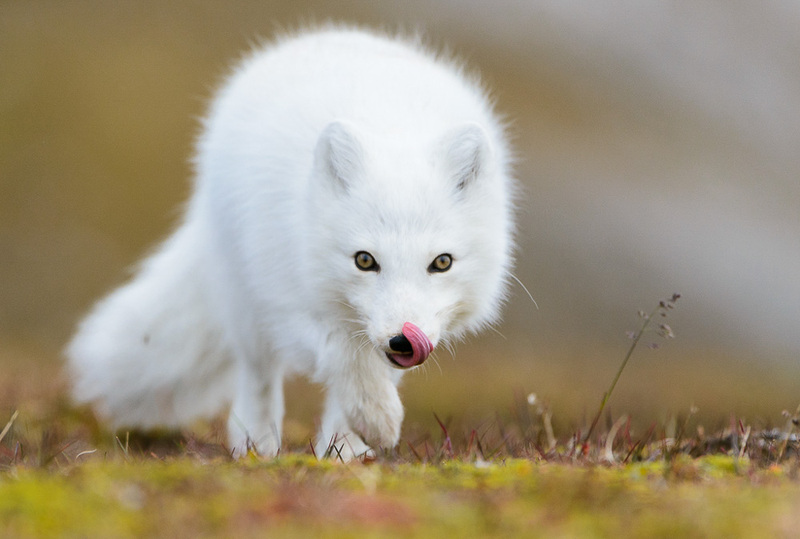 All in all, this expedition is designed specially for a small group of nature and wildlife photographers who will have nine nights on board the best ship in the Arctic to give them the best opportunities for polar bear and Arctic photography. Shem Compion will guide this tour with Kyle de Nobrega. Shem and Kyle have travelled the world in their quest for excellent wildlife and nature images. 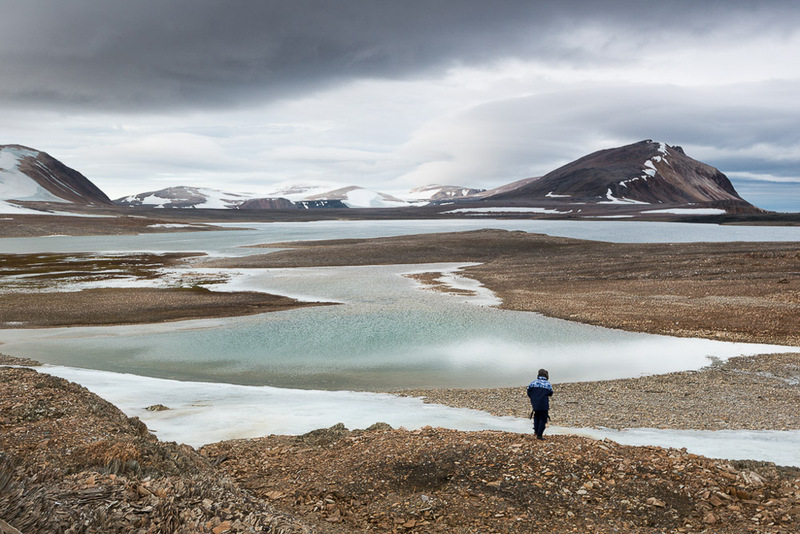 Svalbard has a special place for Shem and this will be his Eight expedition in these waters. 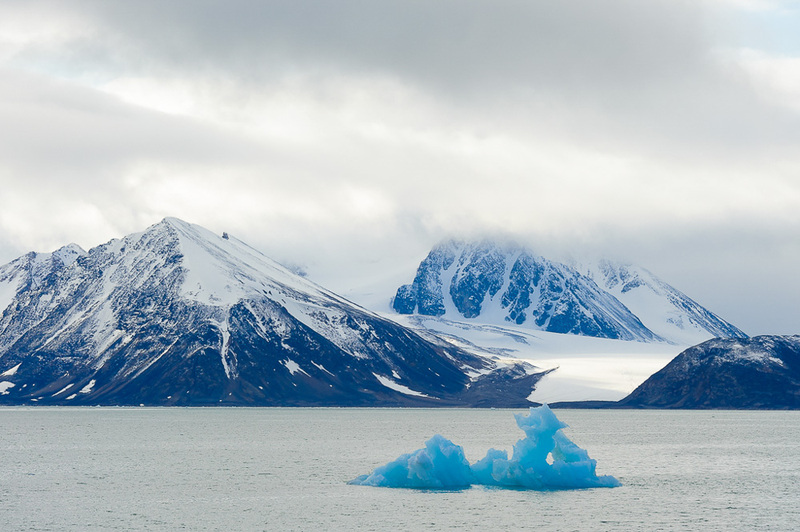 See and photograph the incredible Arctic landscape of Svalbard and photograph incredible ocean pack ice and iceberg landscapes. You will benefit from Shem and Kyle’s combined knowledge and experience on this rather special expedition. 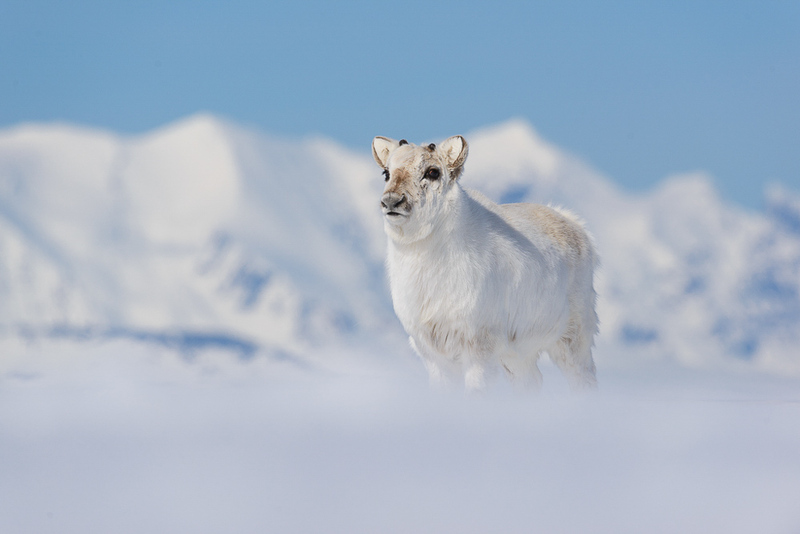 As well as providing every assistance with your photography, there will be two experienced Arctic guides and naturalists who will help lead the group and assist with natural history talks; sharing their intimate knowledge of this wonderful wilderness. Travel in the most amazing light scenes created by the sun moving just above the horizon giving amazing light conditions almost “24/7″. In May the sun ranges between 0 and 21 degrees above the horizon – great light conditions! By the end of October the Arctic sun will have shed its last rays for the year and Svalbard heads towards a period of darkness, known as the “Dark Winter”, or polar night when the sun does not rise at all. Between mid-November and the end of January, darkness prevails around the clock. 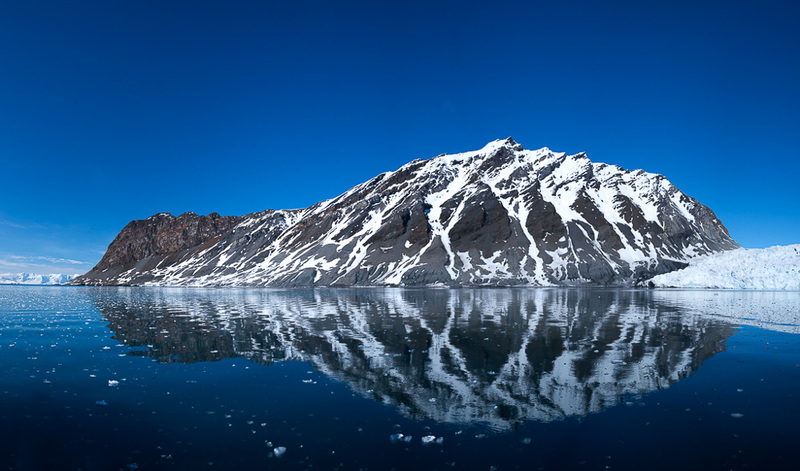 In contrast, the period March to May is known as the “Light Winter” in Svalbard. As the light returns the activity and energy levels on the islands increase – for both the people and the wildlife. Everyone wants to get out, to see and explore! The days become increasingly longer, and by the middle of April, the midnight sun has returned to warm a winter white landscape. 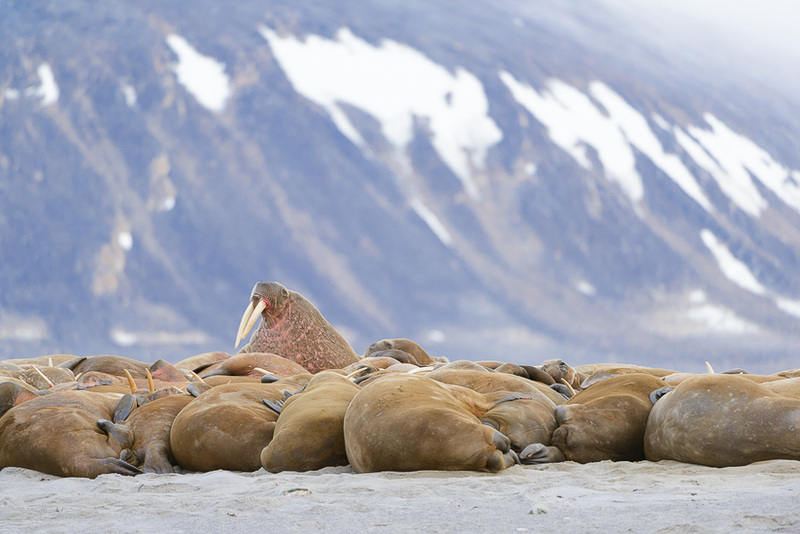 The seals and the polar bears enjoy the sun’s rays from the fjord ice and the landscape is still a winter wonderland, an exceptional backdrop for photography (compared to the brown landscapes found later in the year, when the majority of the snow has melted). 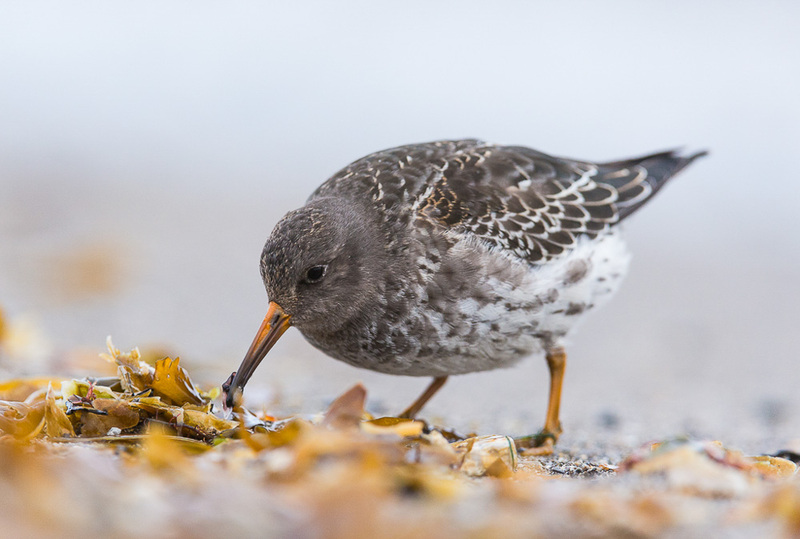 April/May, being one of the driest months, is also at the start of the Spring season with plenty of new life starting to emerge and tens of thousands of migrant birds commencing their return to the shores to start courtship. 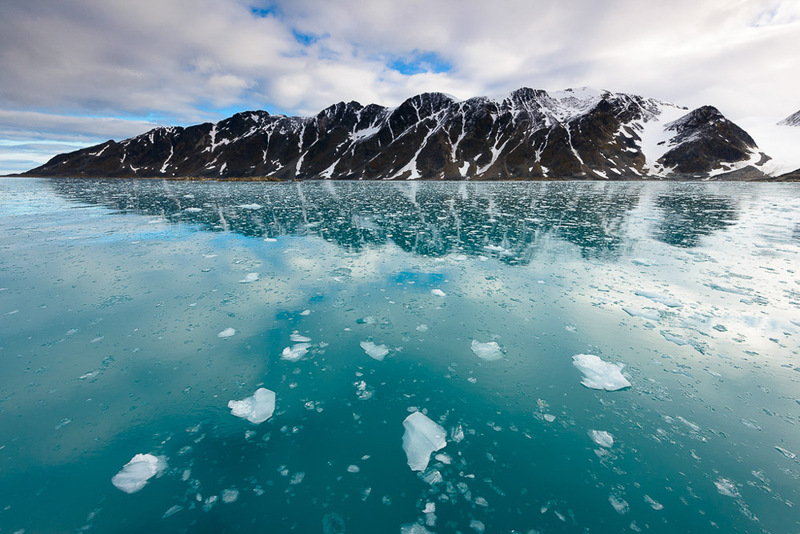 Most people select to travel to Svalbard in the peak season of late May/June/July/August when the surrounding seas traditionally experience less ice, making it easier to navigate amongst the islands. Over the last few years the pack ice surrounding Svalbard has been opening up earlier in the year. 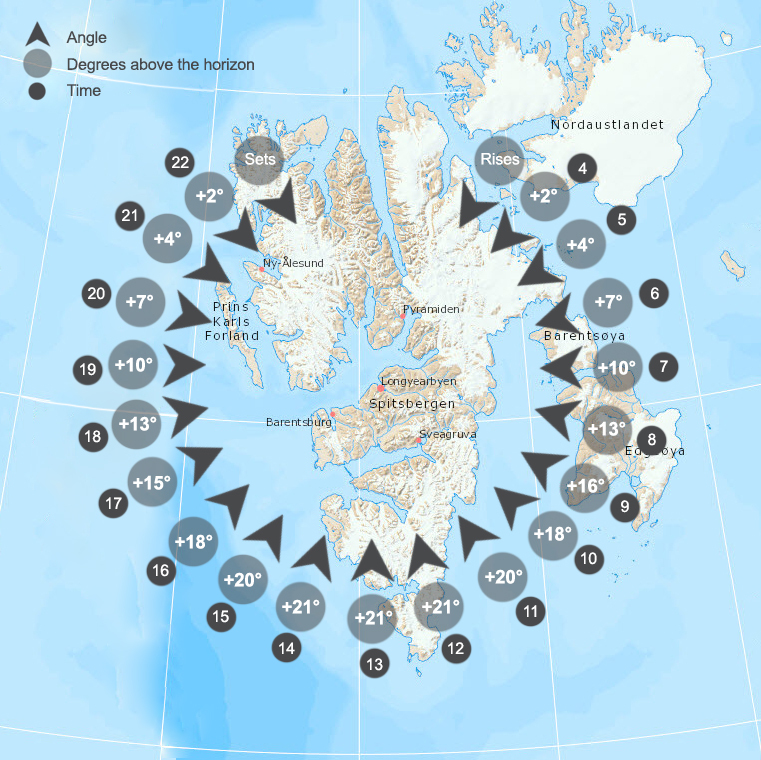 It has been possible to navigate Svalbard, in the right vessel, as early as May yet also have plenty of pack ice available, especially in the East and North. 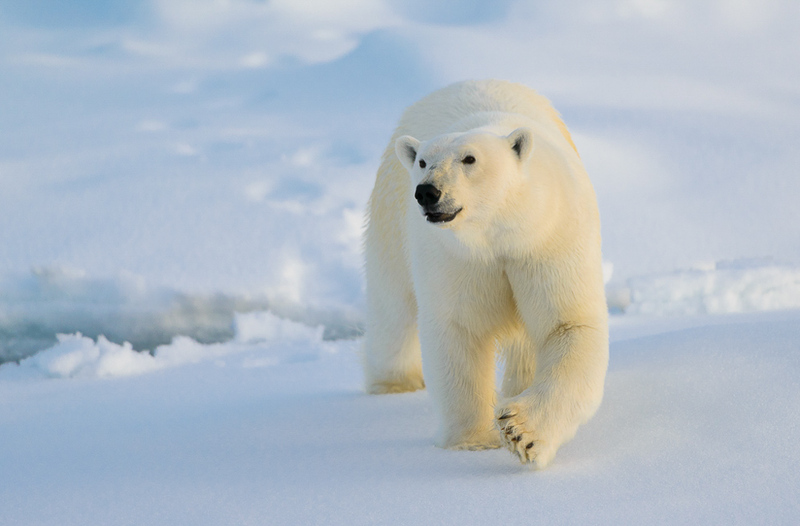 The king of the Arctic is the polar bear. They are at the top of the regional food chain, the largest bear species in the world, are marine animals who swim and walk great distances. 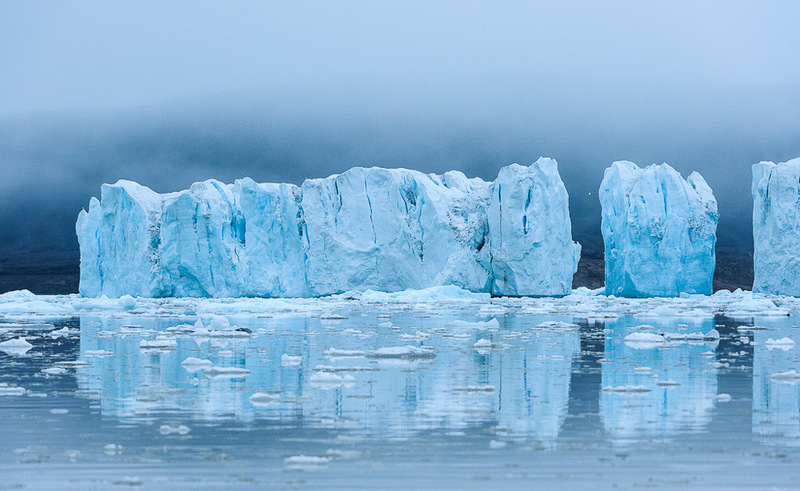 Their true habitat is the dense drift ice and the fast ice of the frozen fjords and bays. 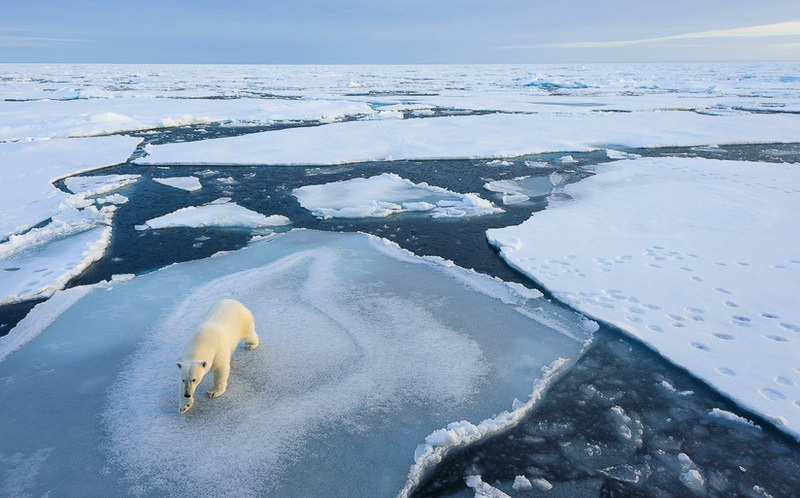 This pack ice is the home of the polar bear and there is nothing more beautiful than seeing a polar bear or a bear and cubs, walking across a floating ice wonderland in the Arctic region. 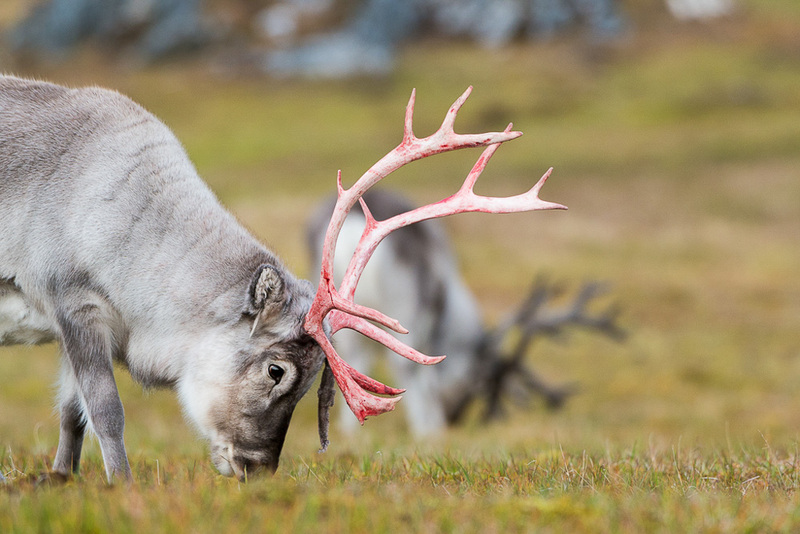 While only the hardiest of Svalbard’s wildlife can be seen in winter, the island’s animals come out to play in spring. 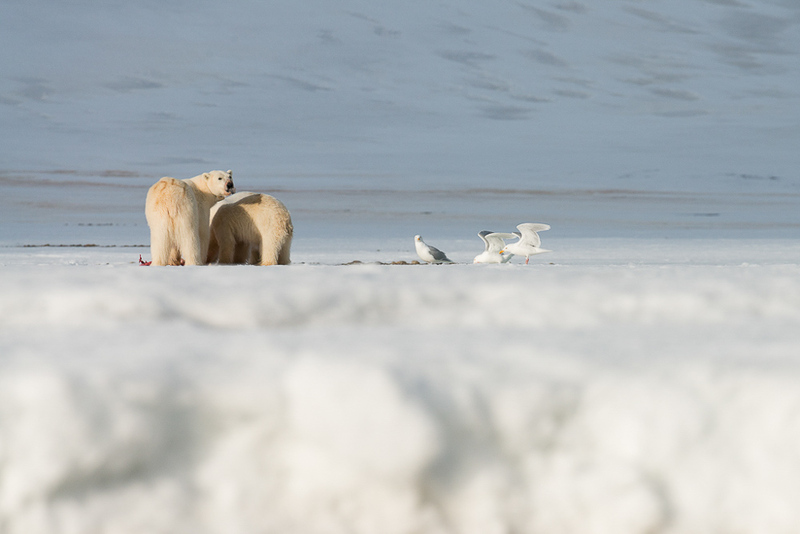 March/May is the peak breeding time for polar bears, and groups, including mother and cubs (who then emerge from their dens for the first time), can frequently be seen together at this time of the year. Also, the bears will have seen no vessels for the entire winter and so are more curious. In May they are not ‘harassed’ by vessel after vessel seeking to get close to see them, as occurs in June/July/August when the number of cruise and expedition ships increase dramatically. In May, the bears are generally more relaxed and approachable. Having only a small group (14 maximum), in two zodiacs, makes approaches to bears and especially to bears with cubs, less threatening, compared to ten or twelve zodiacs from the vessels which carry in excess of a hundred passengers. 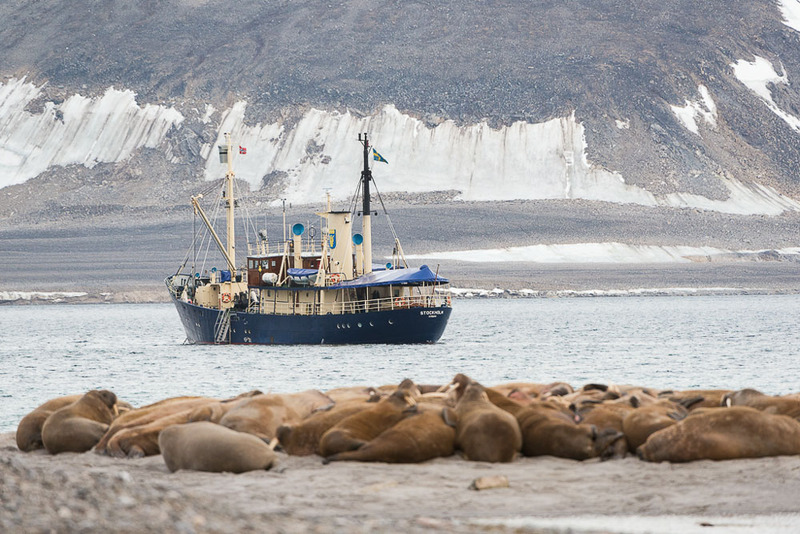 Using a smaller vessel at this time optimises opportunities for getting closer to walruses from both shore and zodiac. 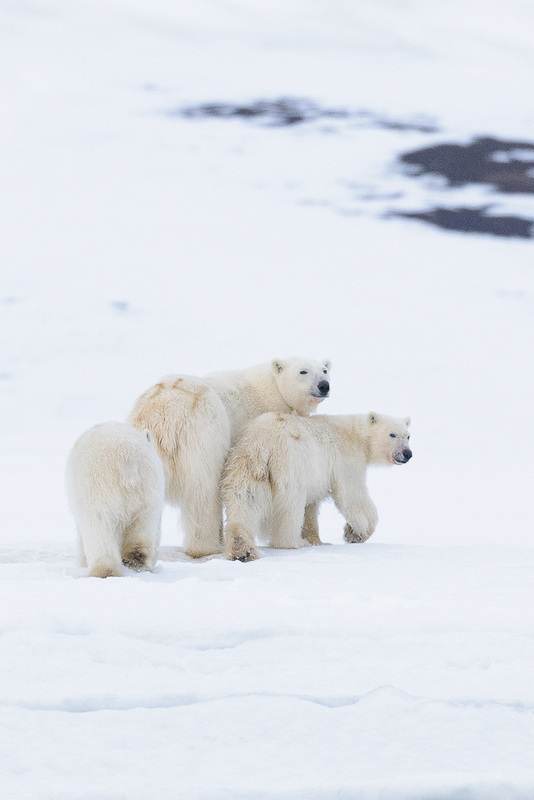 The polar regions have a short but very productive breeding season and the expedition is planned to coincide with the commencement of the breeding season. 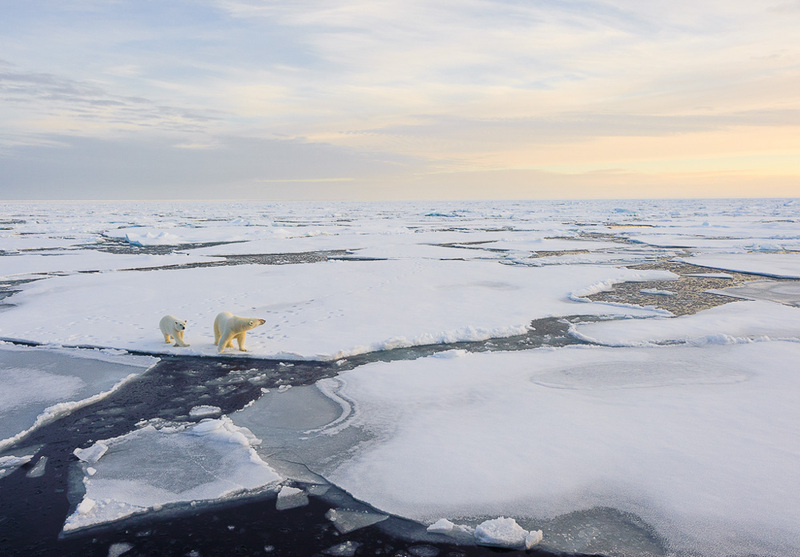 It is designed to offer you the best of both worlds in terms of finding polar bears on pack ice and experience one of the wonders of nature – Spring in the high Arctic, one of the most magical places on the planet. Finally, typical wind speeds in May, vary from 1 mph to 15 mph (light air to moderate breeze), rarely exceeding 27 mph (strong breeze) making it very amenable for photography from a smaller ship like MS Stockholm. The tour leader is Shem Compion, Owner of C4 Photo Safaris. 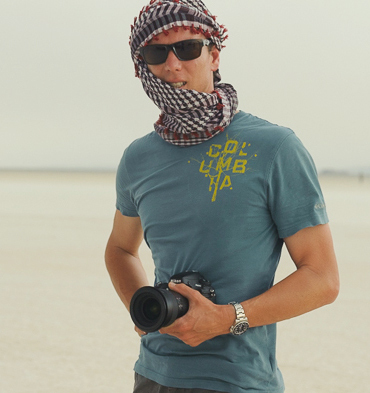 Shem is the founder and owner of C4 Photo Safaris and we have led many photographic adventures over the last ten years, including several to polar regions. 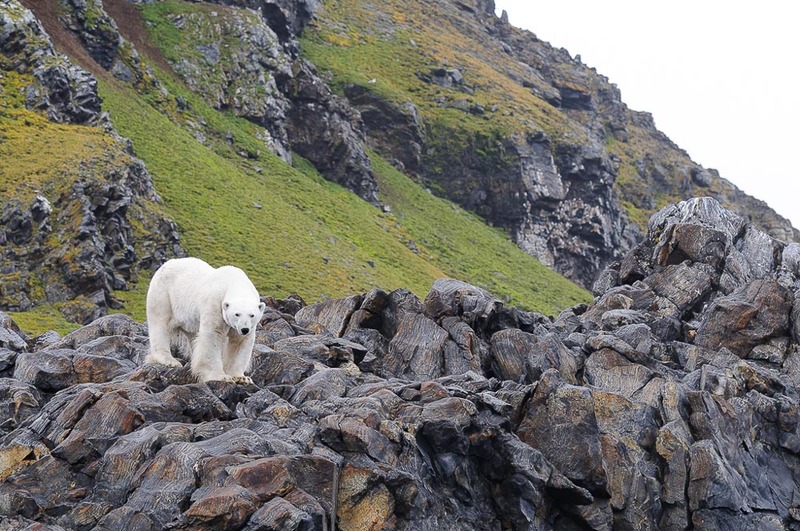 You will appreciate his knowledge of wildlife and the experience he has of Svalbard. He will get you to the best photographic locations and introduce you to the best photographic opportunities in the icy waters of Svalbard. 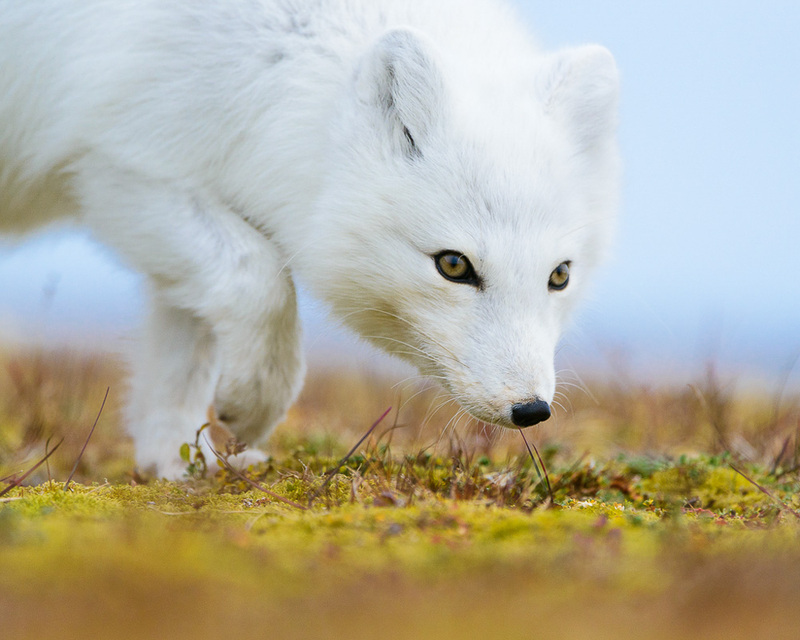 His photographic eye and excellent naturalist knowledge enable him to capture unique and compelling images be it in the Arctic or in the deserts of Namibia. The diversity and amount of awards he has won are testament to his versatility as a global wildlife photographer. This will be Shem’s 7th trip to the Arctic. We chose to use the same crew and Expedition Leader in the Arctic to ensure continuity and be satisfied that we are working with the best team while in amongst the pack ice searching for polar bears. 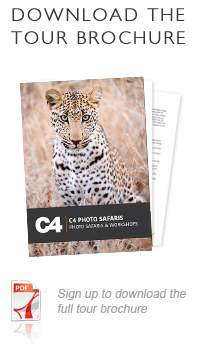 Shem Compion is the founder and owner of C4 Photo Safaris. He uses his intricate knowledge of travel in Africa, its wildlife and fantastic photographic locations to give you the best photographic tour experience you will ever have. Shem grew up roaming the wilds and this interest in Nature led to him studying a National Diploma in Nature conservation and Wildlife Management. Please note that the tour starts and ends on the MS Stockholm. It is advisable to arrive in Longyearbyen at least one day earlier. Board MS Stockholm in Longyearbyen harbour at 16.00 hrs. Please note you are responsible for finding your own way to the vessel in Longyearbyen Harbour. There are a number of taxi services in Longyearbyen. Closer to the date of departure we will advise you on transfer arrangements from your hotel to MS Stockholm in Longyearbyen Harbour. When on board it will be a “meet, greet and enjoy a drink”, followed by an evening of orientation before retiring. The ship will sail as we sleep. On board MS Stockholm. Heading along the west or east coast of the archipelago MS Stockholm will continue to sail until it reaches the pack ice where the quest for polar bears begins. 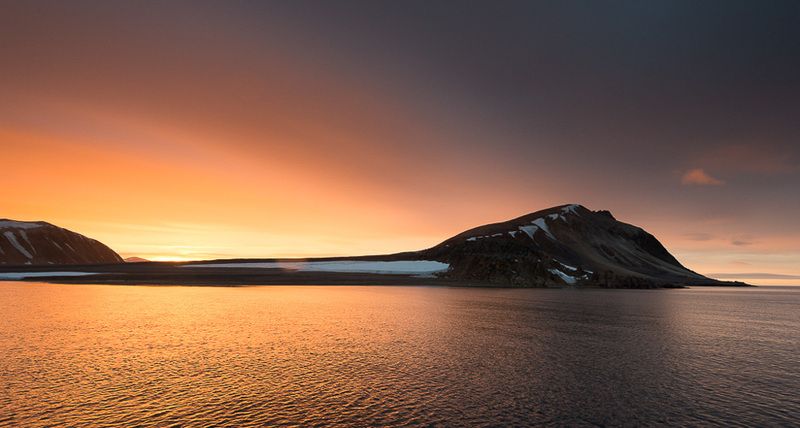 The actual itinerary, selected by the captain, will be determined by the sea, wind and most importantly by the conditions prevailing at the time of planned departure from Longyearbyen. Both the eastward and northward passages provides many photographic opportunities. 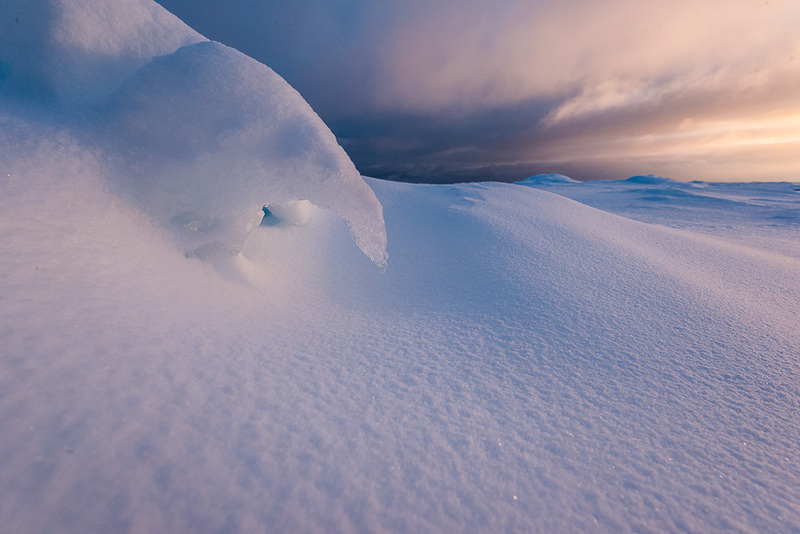 If the light obliges, we should have spectacular ice landscapes over the wilderness. Every endeavour will be made to spend extended periods photographing polar bears as they hunt, rest and play on the pack ice. Be aware however that polar bears are not easy to find and there may will be extended periods with little polar bear activity. After spending the allotted time in the east and or north region the vessel will begin its return voyage to Longyearbyen arriving approx. 9.00am on 17 April 2019. If ice and weather conditions permit, the vessel will visit the spectacular ice cliffs of Ausfonna, an incredible spectacle. On occasions the ship will operate continually over twenty four hours. At other times the engines will shut down at night in the ice or in a sheltered harbour. This can often be an attraction for bears and frequently they are found close to the ship in the early morning. Return to port with an anticipated time of disembarkation at Longyearbyen harbour of 09.00 hrs. This is the end the workshop. Please note you are responsible for finding your own way back to your hotel or the airport. There are a number of taxi services in Longyearbyen. You will be traveling on the MS Stockholm. 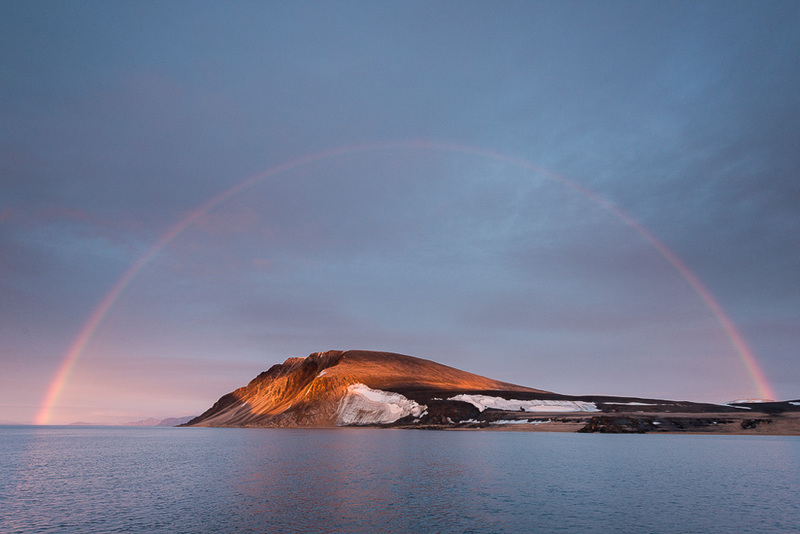 It is a small, extremely strong vessel and along with its highly experienced captain and crew is known as being “the best ship” in the whole of the Svalbard Archipelago. Enter into and stay in thick pack ice for prolonged periods of time. Pack ice is the polar bears’ favourite habitat and thus their (and our) inclination to spend time in this habitat. We are able to enter shallower waters than most other vessels. This means we went to fjords that no other boats can get to. A true expedition and exploration feel comes about you when you can go where no one else can go. Our captain owns the boat and has the most experience in the whole archipelago. He has sailed these waters for 21 years. More than any one else. This means you are getting the best advise and locations available every day. Three meals a day and all Zodiac excursions as per daily program. A non-refundable deposit of 30% is balance is payable 8 week before tour start date. There is accommodation for a maximum of fourteen (12) clients and a minimum of nine (9) clients on this tour, registrations will be accepted strictly in the order they are received. A detailed pre-departure document detailing climate, clothing, travel logistics, travel information, camera gear and other safari information will be sent to you a 6 weeks prior to your departure date. All accommodation on board the ship. All meals and non-alcoholic drinks for the entire sea voyage. Lectures on the area’s flora, fauna and history by MS Freya staff specialist. Arctic naturalist who will present talks and share his extensive knowledge of this wonderful wilderness. One tour leaders/photography guide (Shem Compion). All shore excursions and activities in zodiacs. Continuous assistance/tuition with your photography. Hotel stopovers en route to Longyearbyen. Personal expenses such as private purchases in on-board shop. 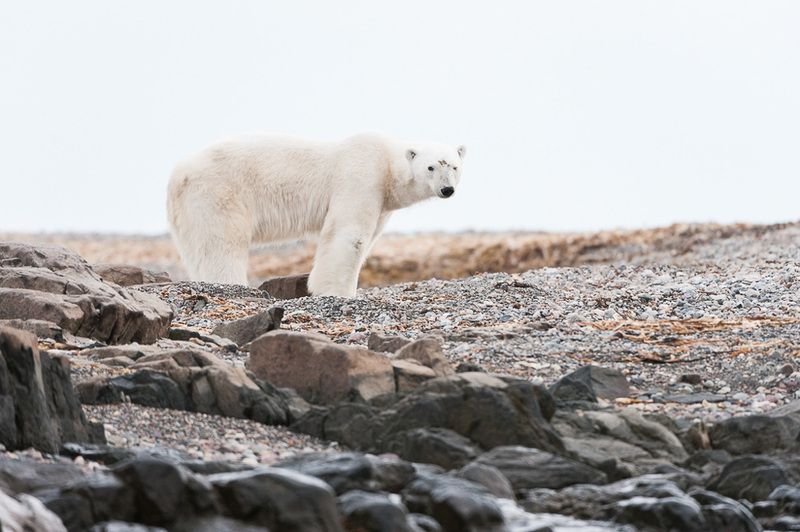 Although polar bears will remain our focus throughout, you can expect to photograph a range of wildlife and landscape subjects using a variety of lenses from wide-angle to telephoto. Most wildlife subjects will require a telephoto in the range 300mm - 500mm. A wide-angle zoom (e.g. 28 -135mm) would be ideal for scenic images. A tripod is recommended. The power supply on the boat is 220 volts. A European plug adaptor (two thick round pins) will be required. 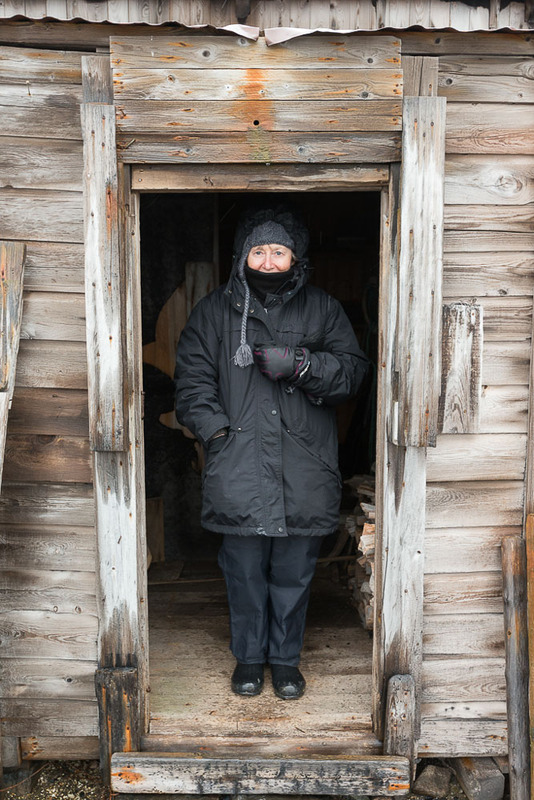 Caring for camera equipment in Arctic conditions. Backing up and storing your images. Board MS Stockholm in Longyearbyen harbour at 16h00. Return to port with an anticipated time of disembarkation at Longyearbyen harbour of 09h00.